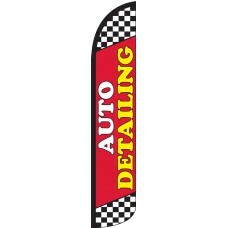 Promote your car wash or auto detailing business with our vibrant wind-free feather flags. Many car washes are hidden unsuspectingly at gas stations. 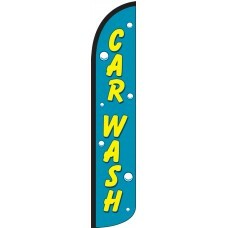 Make sure prospective customers know that you offer a Car Wash with our bold and vibrant feather flags. If you are a car wash, make sure prospective customers know that you offer premium auto detailing services. Attracting just one customer will more than pay for the cost of the flag.